The District of Columbia leads a double life. More than 20 percent of D.C.’s land is federal property, and national politics are the first thing that comes to mind when the city is mentioned. The flash of national politics often bowls over a place that possesses a culture in its own right. Fashion, cuisine, art, and the District’s unique identity as a waypoint between American northeastern and southeastern culture can be all but suppressed, covered up by the city’s austere political landscape. Underneath the surface, though, visible when you look past the Capitol building and the countless monuments, is a city with a culture of its own, where art perseveres, growing through the cracks. Art has found unusual ways to survive. Community is everything to local artists. Although they may be very different, together they form a vibrant, local culture in which mutual support is pivotal. 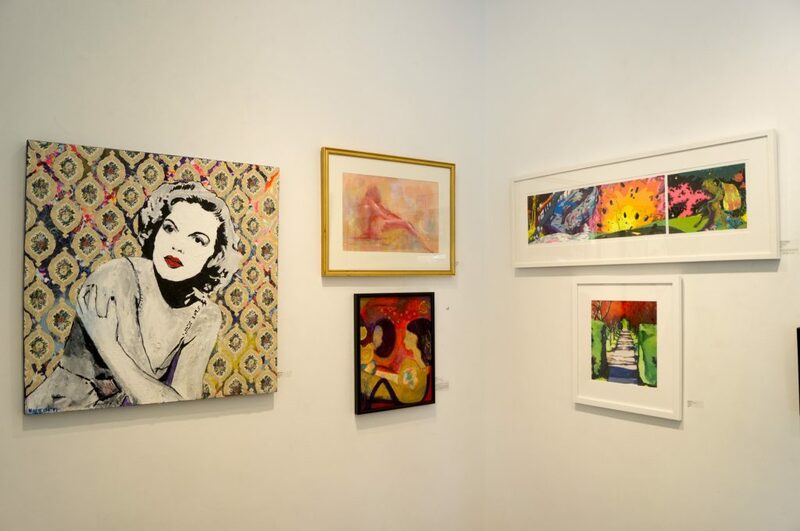 The Touchstone Gallery has taken the idea of community to heart, operating as one of the only artist-owned galleries in D.C. The gallery is disarming at first look. It almost takes a moment to realize you are in an artistic space. Its green awnings blend in with the neighboring businesses and the tall glass offices of K Street are only a few blocks away. Seeking to create their own artistic space, a group of artists came together in 1976 to form the gallery. Originally setting up shop in Dupont Circle, the gallery has changed locations over the years, and is now established on New York Avenue. “They wanted to have control over what they exhibit. So, it was a self-controlled entity where artists make decisions of what to show, when to show, how much they charge for their work. So it started off as that and it’s still the case,” said Ksenia Grishkova, the gallery director. While the idea of an artist-owned collective seems glorious, allowing artists to take up the mantle of full artistic freedom and liberating them from for-profit middlemen comes at a cost—a lot more hard work and investment from the artists themselves. It is up to the artists to coordinate events, manage the finances, and ensure that their 50 members continue to pay dues and have their art represented. All the while, nearly half of the members hold down other full-time employment. “Basically, we’re running a small business here, and some people are simply interested in how to make it work as a business because we are a business; we have to pay rent; we have to open; we have to sell art; we have to exist,” Grishkova said. In a dedicated community of artists that is constantly changing, Grishkova is a consistent feature, shepherding a swath of styles from morose life-like sculptures to abstract still lifes and pop art. During our interview Grishkova was friendly, always smiling, at least slightly, and bouncing between phone calls from artists. Born in Russia, Grishkova was the daughter of two art conservators. She grew up surrounded by museums and antiques until she became an artist herself. “I rebelled and went to contemporary art but [my parents] stayed with antiques, and this is my rebelling. I’m still in my rebelling stage dealing with contemporary art,” Grishkova said. After working at galleries in Moscow and London, she joined Touchstone in 2007. The entire operation was different then. The gallery was renting out a different location with a lease set to expire and only half the number of artists they have in partnership today. “We took a year to find a new location, to build it up, to make this modern, beautiful space, up to gallery standards with the lighting and everything. So the gallery, membership, core membership at the time, all of the members, decided to stay as a gallery and continue to function without the space. So I stayed on board, and I received my base salary still, and we continued to be an entity out of my apartment at the time,” Grishkova said. Working out of her own home wasn’t in her original job description, but it was pivotal in making the gallery what it is today. Touchstone is built upon its artistic community, and those operating it recognize this value in every aspect of their lives. Williams’s exhibit, “Ordered Complexities,” is currently on display at the gallery. Exhibitions rotate monthly, usually with two member artists having an entire “room” of the open floor plan gallery to themselves. Each rotation begins with public opening receptions, ensuring that the pieces are always accessible to the public. Accessibility and education are core values that Grishkova seeks to promote for Touchstone. “I think it’s so important for anybody who comes across the gallery to not be intimidated and be welcomed,” Grishkova said. In 2013, Grishkova became the first director of the newly founded Touchstone Foundation for the Arts, a position she still holds today. This 501(c)(3) organization serves as the community outreach wing of the gallery. The gallery has dedicated exhibitions to feature the art of the citizens of its home city. For example, Grishkova has worked in collaboration with Miriam’s Kitchen, an organization dedicated to aiding those experiencing homelessness in D.C. The partnership seeks to provide artistic education and display the work of homeless individuals, providing an outlet for expression as well as a place for them to sell their work on their own terms. 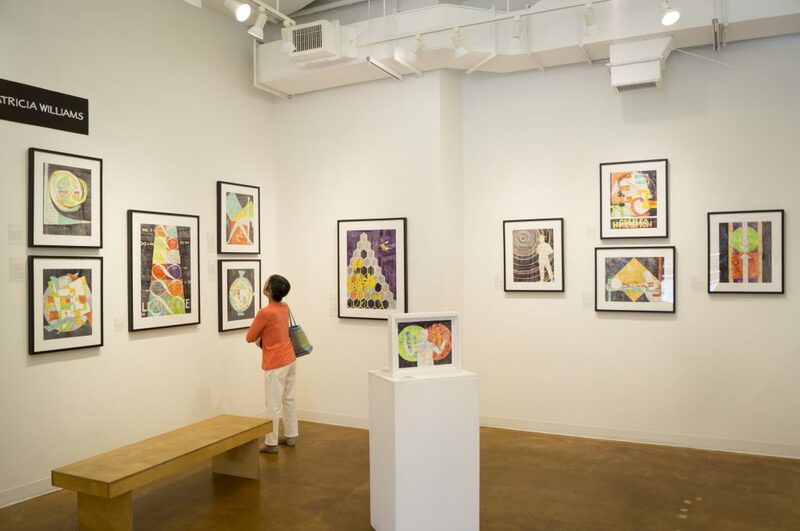 Through the Touchstone Foundation, a charitable wing that started in 2013, the gallery has participated in similar projects with inmates as well as underprivileged youth, providing the gallery space for artists who would not have access to it otherwise. The local artistic community is often overlooked in favor of the large-scale attractions that D.C. has to offer its many visitors. Living in the shadow of the Hirshhorn or the National Gallery can easily obscure local talent. “We’re very blessed that there’s so much of it, and there’s so many opportunities … There’s so [many] individuals, well, you lose sight of the trees because of the forest,” Williams said. Touchstone seeks to mentor those local aspiring artists who are too often overlooked. The gallery worked with New Community ArtSpace this July to create an aptly named project, “I Belong Here – Art of the Shaw Community,” providing classes and displaying works in a variety of styles from diverse member artists. The Touchstone is a home, a sheltered cove, for its owners and patrons. The walls are stark white, and the ceilings high, with a network of contorting, half-painted pipes and corrugated steel, all meant to accentuate the brilliant bursts of color along each wall. Williams’s art focuses on mathematics and patterns, harkening back to her many years as a professional engineer, operating with electric cooperatives to support rural power infrastructure. The main attraction of the small space, however, is the central gallery, exhibiting pieces from all the gallery’s members. A four-armed Barbie doll in a bright pink shadow box is not far from a gothic relief made entirely from paper. There is unity in diversity: Works that have no initial connection to each other form one cohesive display. This does not mean things are perfect, however. Especially considering that the will and interest of 50 artists must be equally considered in the process. D.C. is not an easy place for independent art to survive. For all that Grishkova and the owners have accomplished, it is still easy to pass the gallery by on the street without noticing what it is. Perseverance is a word Grishkova uses when talking about the local arts scene, art in spite of the environment. Her optimism is infectious and rightfully so. The direction she paved for the gallery ensures that in some small ways, the artistic community will live on. “You see murals coming up; you see public art happening; you see D.C. Commission for the Arts giving out grants to artists; and it’s very encouraging that there’s things happening in the city,” Grishkova said. Did Georgetown Want Me Back?